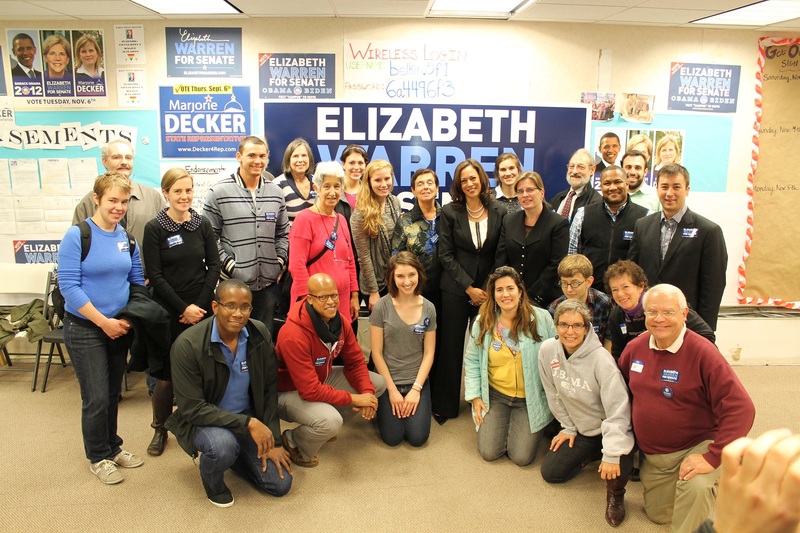 Kamala Harris, the Attorney General of California, was in Massachusetts today to campaign for Elizabeth Warren. 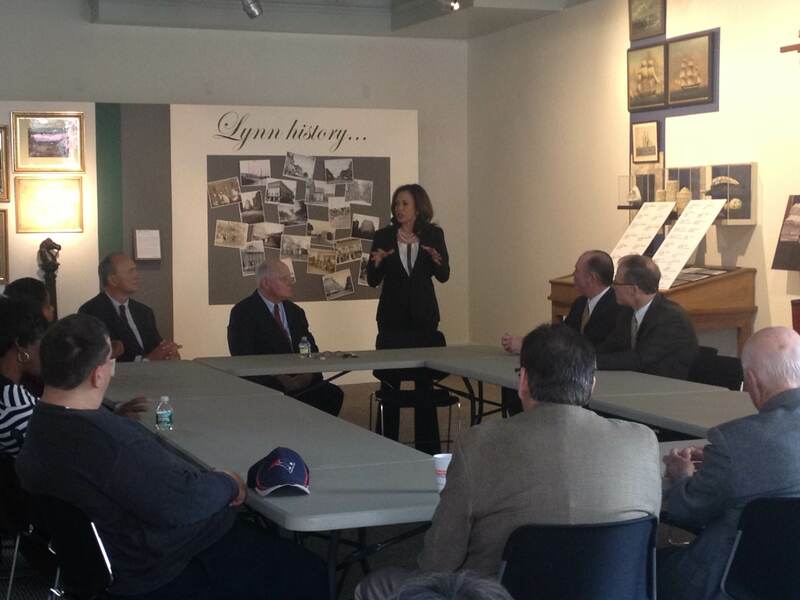 Harris began her day in Lynn at a round table discussion on corporate accountability in the subprime mortgage crisis with Southern Essex County Register of Deeds John O’Brien, who emphasized that local advocates and elected officials need a Senator who will be responsive and knowledgeable about the issues, like Elizabeth Warren. 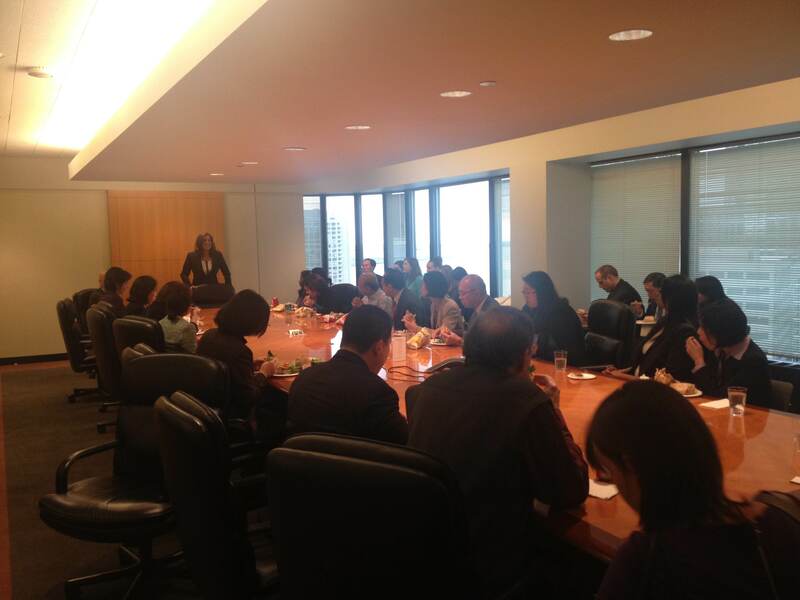 The next stop was a lunch reception with approximately 30 leaders from the Asian Pacific American and South Asian communities. After heading to Northeastern School of Law, where she talked about issues of voter protection with students and encouraged them to participate in voter protection efforts on Election Day, Harris made her last stop of the day in Cambridge, where she made clear that what happens here in Massachusetts will have an impact on California.